Any failure is based on a goal without a reason. These are the opening words, feverishly sung in Bambara, of the song Kenia in Rokia Traoré’s sixth album Né So (“Home”). 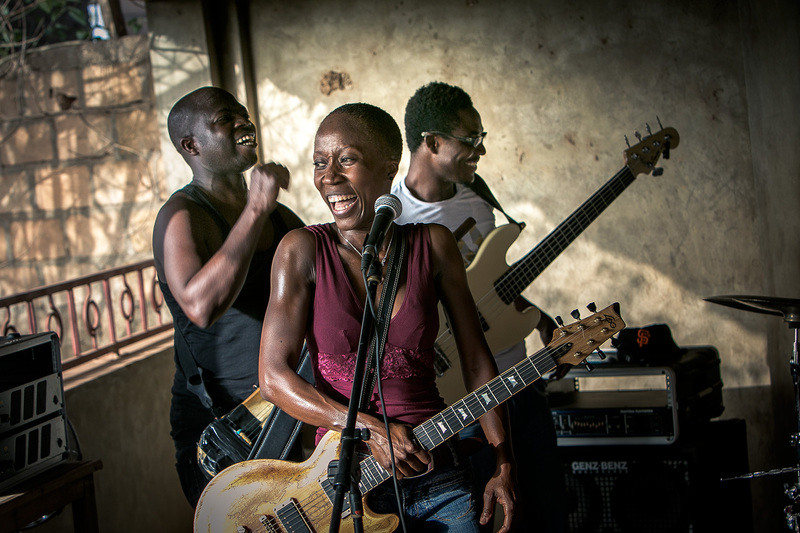 And the best way to encapsulate the Mali-born singer’s strength throughout her nearly twenty-year musical path. The decision to take up music may be guided by a career plan, or a burning urge, or an attempt to gain some recognition, or even the desire to pass on a legacy. 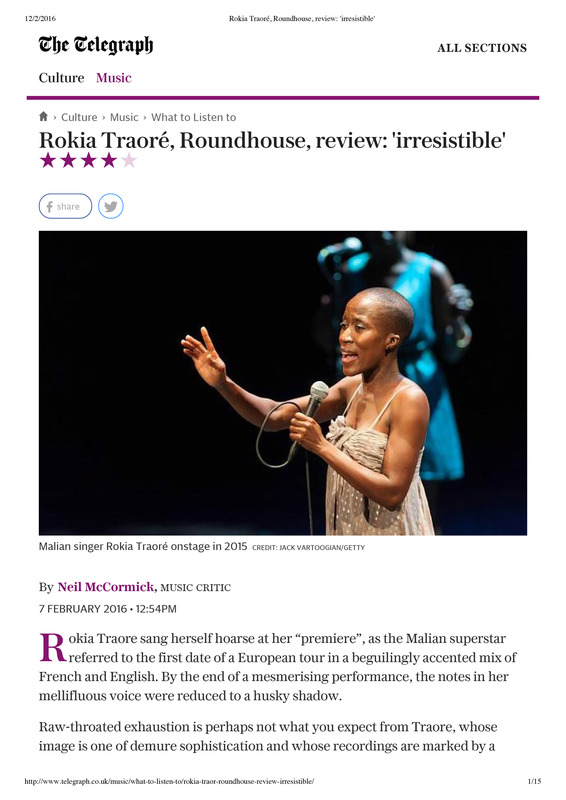 But Rokia Traoré’s journey is of a whole different kind. Ever since she released her first record Mouneïssa, she has grown her own art and developed a real life philosophy; or a principle, in its etymological meaning: a source, a rule of conduct. This empirically based axiom guiding her actions has always been driven by the force of her will and the movements of her heart. Incidentally, the fundamental question of choices and responsibilities has always been Rokia’s centre of gravity. So showing the world is what Né So is all about, especially the title track, a stunning etching that depicts in a few strophes the distress of uprooted peoples. The album is filled with pain and joy, infused with challenges and hopes, and always nurtured with an uncompromising frame of mind, one of a woman who will neither give up nor overdramatize, whatever happens. Amour, Amour, Tu voles and Obiké are odes to the not-so unbearable lightness of being, while Ilé expresses a healthy disregard of ego-based squabbles and fights. Kolokani pays tribute to the beauty of one’s roots and forebears, and Niélé chants the courage of tomorrow’s grown-up women. 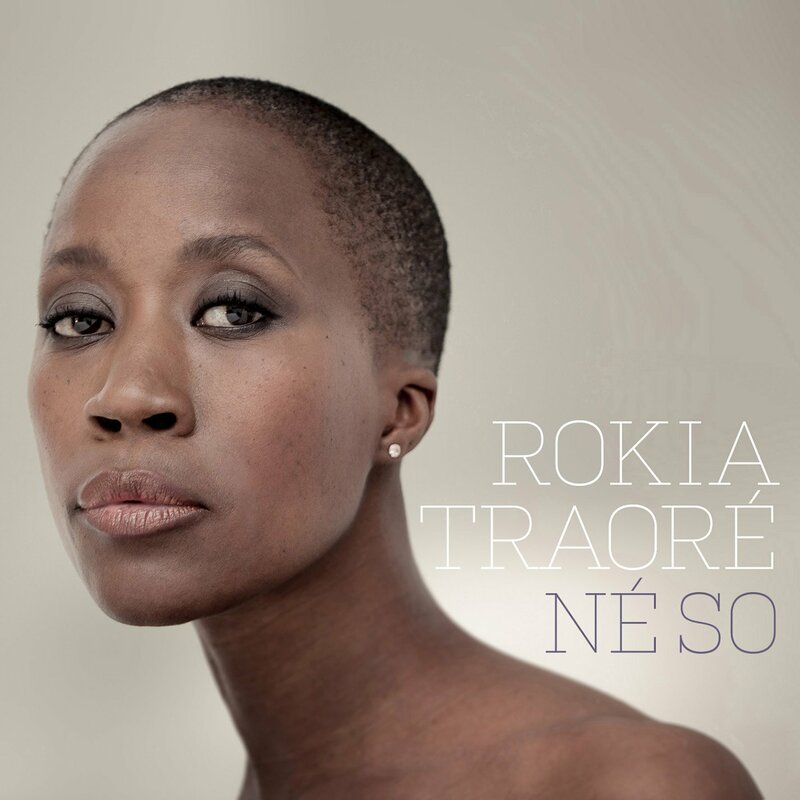 More than ever before, Rokia Traoré translates with Né So her burning desire, her vital urge to get home on a tightrope, using a perfectly balanced bar with her personal experiences on one side and the entire universe on the other. Her cover of Strange Fruit, as anchored on the ground as it is aerial, is the culminating point of this new stunt of hers. Rokia already had explored Billie Holiday’s repertoire in Tchamantché, with The Man I Love. This time, she thoughtfully and ardently sings Lewis Allan’s ever so harrowing story of the heinous madness of men, in a time of tension and closure. Such is the humble testimony of a subjective artist placing herself in the context of humanity. Humanity is both what she is dressed in, and what she uses to try and dress the world’s wounds. “I believe what keeps me alive, what keeps all of us alive, is the ability to move from the singular to the universal. This may be what maturity means – to love your life without always being at the centre of it…” Doubtless, this is the reason and the goal behind Né So; Rokia Traoré finally got “home” and is now telling us the story of the world and the human condition in its complex and beautiful diversity.